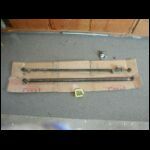 The question that comes to mind when looking at most stock tie rods is "Where's the Beef"? 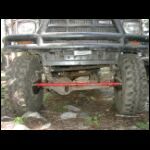 Last thing you need when your on your favorite trail is for the tie rod to bend or even break, possibly leaving you stranded. Well Rockstomper has the beef! 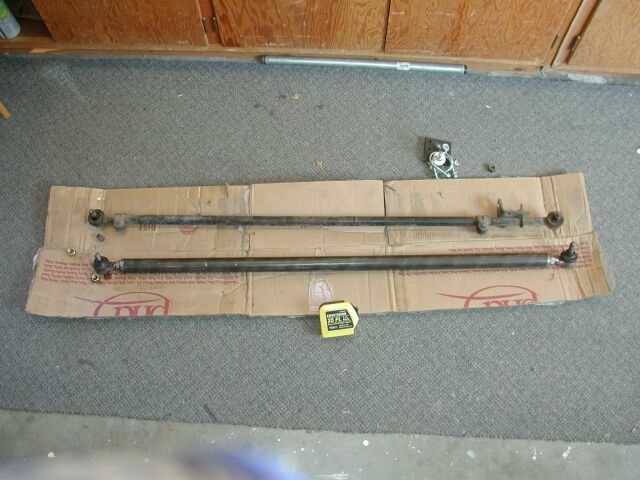 Rock Rods are constructed from 1.25" 0.219 DOM steel tube. 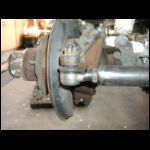 They can also be had with an additional sleeve of 1.5" 0.120 DOM that is slid over top and full-circle MIG welded at both ends. 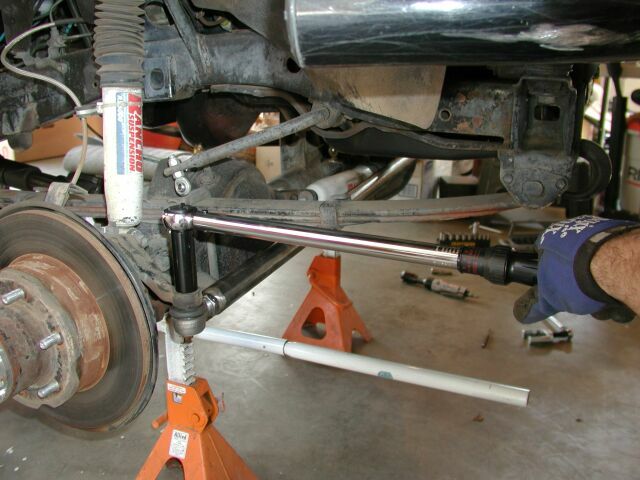 This adds even more strength to the very strong and resilient tie rod. 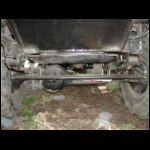 Rockstomper makes Rock Rod's to fit Chevy's, Fords, and Toyota solid axle trucks. Depending on which wheeler you have, there are a few differences. 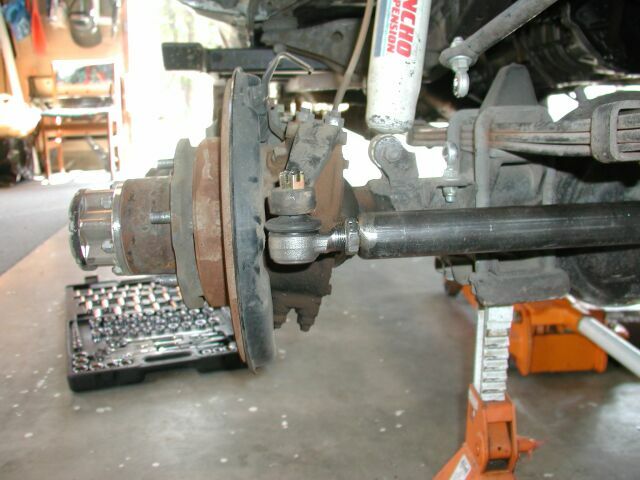 For instance, Fords need to be converted to Chevy TRE's (Tie Rod Ends) and need a custom drag link. Toyotas get the beefy FJ80 23mm TRE's. 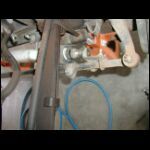 Brackets for steering stabilizers are available as an accessory as well. 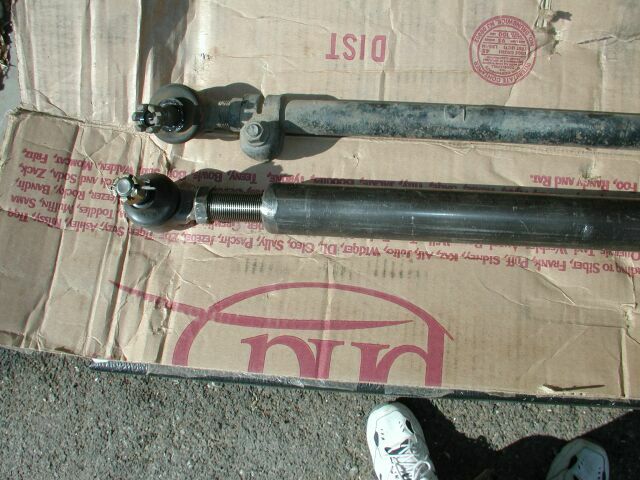 So lets get to it, and see what it took to swap out the wimpy stock tie rod on my Toyota with a Rock Rod. 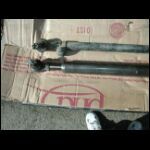 Check out how beefy the Rock rod is compared to the stock unit. 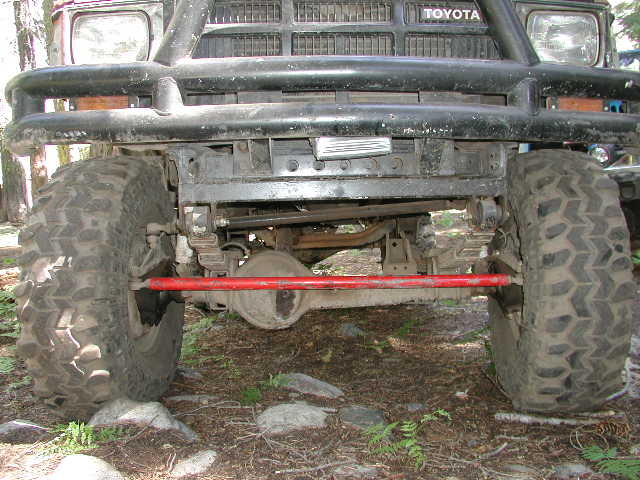 To prep for installing the Rock rod, I first jacked up the front of my truck and set it on a pair of jackstands. 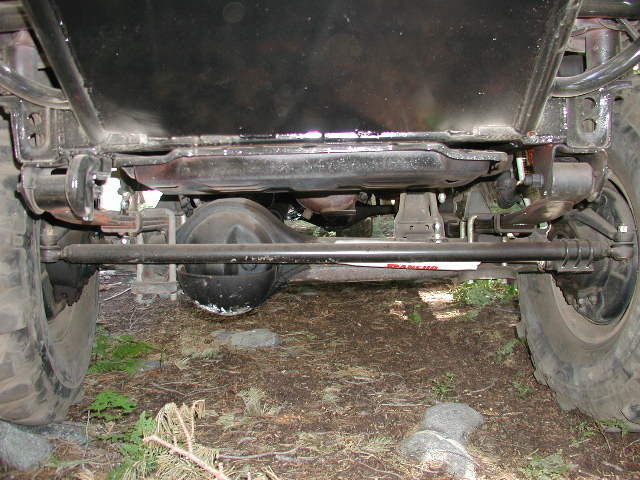 Then I pulled the front tires off to make it easy to get at the TRE's. 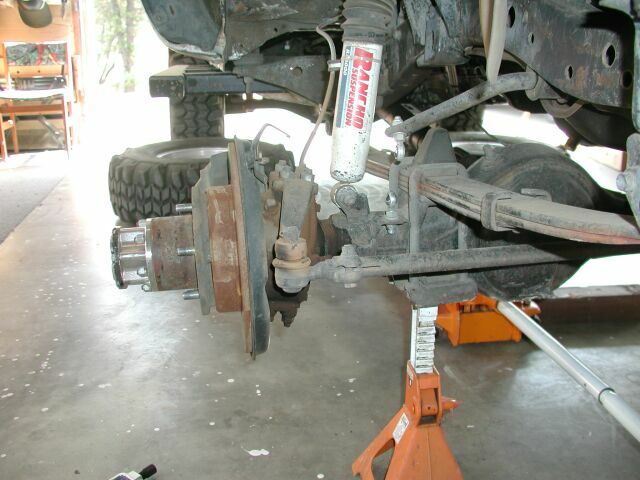 Next I disconnected my steering stabilizer from the tie rod. 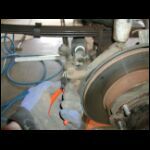 Pull the cotter pins out of the TRE stud. 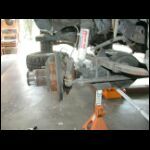 Using a TRE puller from Autozones collection of free tool loaners, I popped the TRE off the steering arms, and removed the stock Tie rod. 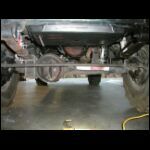 In order to maintain a reasonable toe setting, I measured the distance between the TRE's of the stock Tie rod, and then set the Rock rod to the same measurement. That way I would have a decent initial alignment setting for the drive to Keith's Alignment and Brakes in Placerville. Now comes the fun part, installing this bad boy. 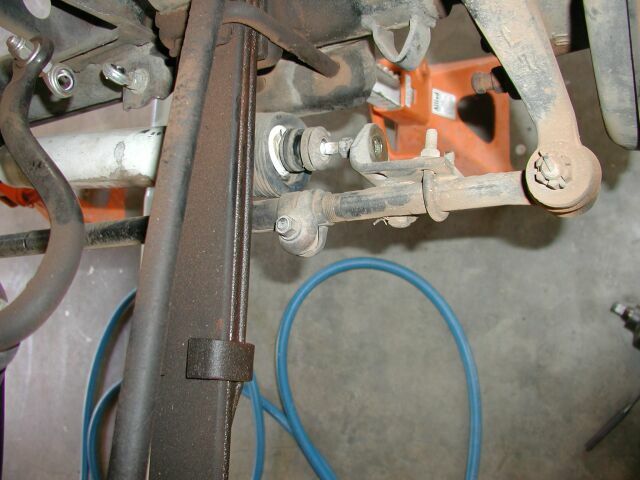 Nothing to it, Just install each sides TRE in the steering arm and hand tighten the crown nuts. 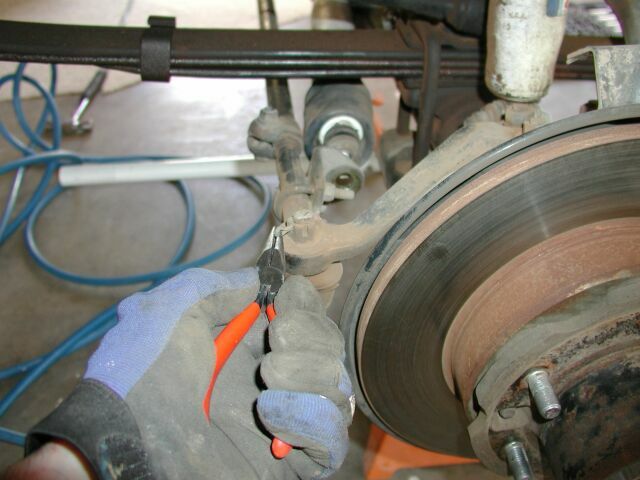 If you have one, get out the torque wrench and torque to the spec found in your service manual. Finish off by installing the new cotter keys. Another happy Rock Rod Customer, Jumpin' Joe's Rig. 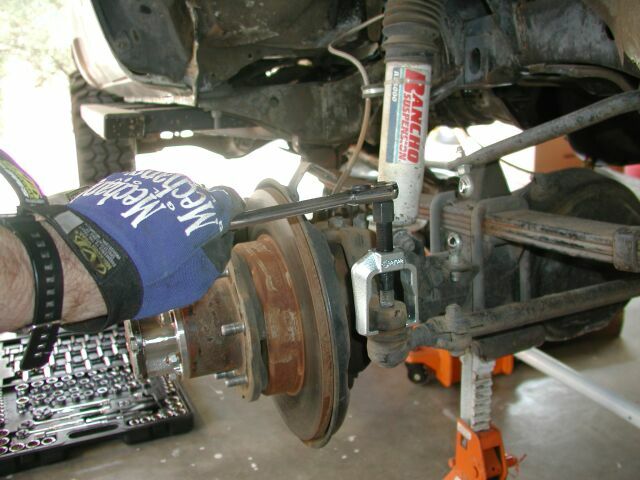 The Rock Rod is a great product at a great price. They start around $160 and the final price depends on the configuration. I have about 5 trips on my rig now since I installed the Rock Rod. 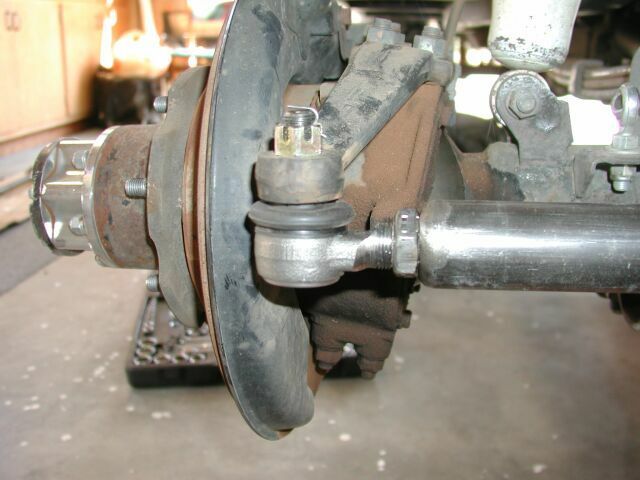 I like the fact it allows me to continue using my stock Toyota steering set up a bit longer. I've ran Fordyce, The Con, and others with no problems since I installed it. Dealing with Rockstomper is a pleasure, they were always very helpful each time I called - never an attitude. 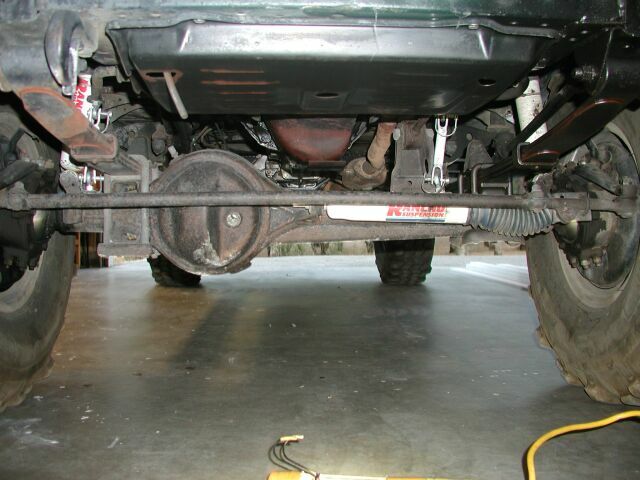 So if your in the market for a tie rod that will outlast your rig, check out the Rock Rod from Rockstomper.